Kingsman: The Golden Circle was released the last week of September and was a long-awaited sequel to the original Kingsman. These English spy movies have been compared by many as a James Bond film but with a twist. The movie was directed by Matthew Vaughn and has a running length of two hours and twenty-one minutes. The sequel continues with the same amazing humor and special effects as the first movie, along with a great storyline. In addition, movie stars like Taron Egerton, Channing Tatum and Colin Firth bring the film to life and enhance the story with their incredible acting talent. The film is rated R, however, and should not be viewed by children because of some mature scenes and language. The basic story of the movie follows the Kingsman and Statesman agents as they work together to put an end to Poppy, a major drug dealer, and her poisoned drugs. Poppy’s drug ring is called the Golden Circle, which is where the sequel gets its name. The film includes a combination of current popular music and old classics. While there were moments where the movie seemed to lag and move slowly, the music kept me engaged. It was also pivotal in the major action scenes and added to the intensity. Since the film also includes music from different genres and time frames, it makes the film enjoyable for ages all around. There is also a surprise character in the film that people from everywhere should be able to recognize for his music. As mentioned before, the special effects included in this film are out of this world. The fight scenes look so much more realistic and it feels like you are right there in the middle of it. This has been something that I have looked forward to when watching both movies because it is something that both movies do well. Like with any movie, and especially sequel, there are usually some things that could have been done differently. As stated before, I believe there were parts that dragged on for too long just to make the movie longer, and they weren’t really needed. The movie would have been just the same, if not better, without these scenes. 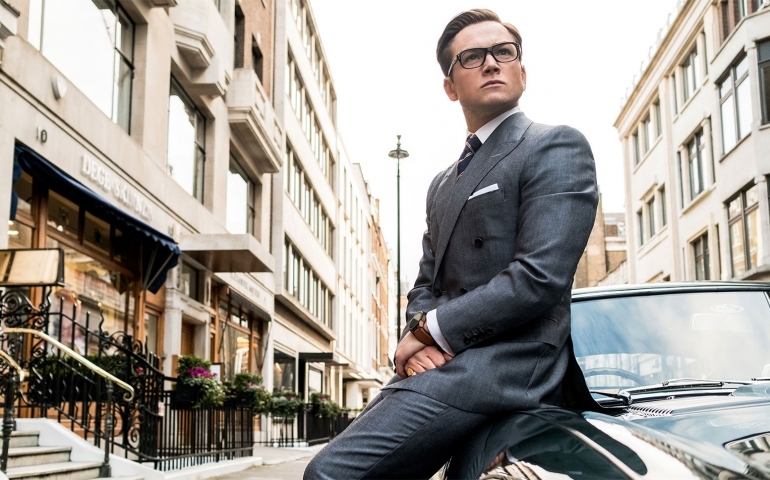 Whether you’ve been a Kingsman fan from the beginning, or are just interested now, the film is one that is not completely dependent off the first film, so it can be enjoyed by anyone. Kingsman: The Golden Circle is still out in theaters, so make sure you get out there to see it!